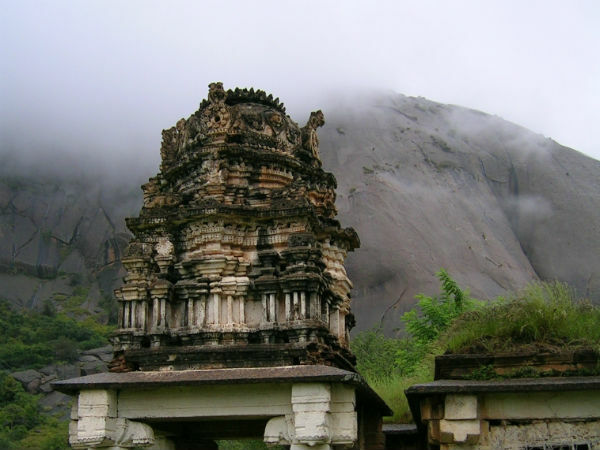 Located at a distance of 60 km to the west of Bengaluru is Savanadurga which is considered to be one of the largest monoliths in Asia and comprises of two hills, the Billigudda and the Karigudda. According to the earliest record available the name of the hill was named as Savandi in 1340 AD by Hoyasala Ballala III. The hill is at a height of 1226 m above mean sea level and is part of the Deccan plateau.The hill consists of peninsular gneiss, granites, basic dykes and laterites. The Akravati river can be seen from the summit; the trek is an easy one and picturesque, which also has a perennial lotus pond and is regularly visited by those people who love trekking, camping and rock climbing. By Air: The nearest airport is the Kempegowda International Airport in Bengaluru, which is approximately around 91 km from here. The airport is well-connected to all the major cities in the country and as well as to many abroad as well. By Train: The nearest railway station from here is the Krantiveera Sangolli Rayanna Station or the Bengaluru City Junction which is around 66 km from here. The railway station is well-connected to all major towns and cities across the country and across the state. By Road: One of the best ways to reach Savanadurga is by road. The town of Magadi is well-connected by roads and there are regular buses that operate from Bengaluru to Magadi which about 20 km away from the hillock. For those who are opting to travel by Route 1, it would take you approximately around 2 h to reach Savanadurga, via NH 75. The route takes you through the well-known towns of Kengeri, Manchanabele etc. The roads are well-maintained, which helps one to cover the distance at a good pace and the destination is about 56 km through this route. If you opt for Route 2, it would take you approximately 2.5 h to cover a total distance of 70 km from Bengaluru to Savanadurga, via SH 3. As the place is very close to the city of Bengaluru, most people head out to this beautiful destination during the weekends. Many prefer to reach here during the early morning hours as the place gives you a brilliant view of the sunrise amidst the thick green cover surrounding the place. Manchanabele is is often considered as an ideal place to stop over for breakfast; there are plenty of places for one to eat on the highway and further proceed towards the destination which is around 13 km from here and would take you about half an hour to reach the place. The place is well-known for its dam across the Arkavati river which provides its visitors a hands-on experience with Kayaking. There are plenty of adventure resorts located here. However, the reservoir is a very dangerous place to venture no matter how good a swimmer you are. Many have lost their lives due to large boulders, deep slush and fault lines. Unlike other hills, trekking up here is true experience, since there are no support or stairs through the entire stretch, it is quite a thrilling activity. The hill is a very steep one and it is highly advisable to wear a good pair of shoes for better grip. The hills are also visited by pilgrims who come to visit the shrines of Savandi Veerabhadreshwara Swamy and Narasmiha Swamy temple which are located at the foothills.